* If paid by postmarked deadline of Wednesday, July 17, 2013. $33 if paid after the postmarked deadline of Wednesday, July 17, 2013. Salads: Green Salad with Dressing; Macaroni Salad; Potato Salad; Coleslaw. Entrees: Baked Chicken, Roast Beef with Mushroom Gravy, and Egg-Dipped Catch of the Day with Tartar Sauce. Sides: Dinner Rolls; Steamed White Rice; Garlic Mashed Potatoes; Sautéed Vegetable Medley. - Arrive at the gate, tell the guard where you are going, "Hale Ikena"
- Driver must present current driver's license, car registration, insurance card and safety check. No Special Event Passes are required. - Take FT. SHAFTER EXIT onto KIKOWAENA ROAD. - Turn RIGHT through MAIN GATE onto FUNSTON ROAD. - Turn LEFT onto CARTER DRIVE from left turn only lane. - Follow road and take SHARP RIGHT up MORTON DRIVE. - Entrance to Hale Ikena is on LEFT. - Take FT. SHAFTER EXIT and turn LEFT at traffic light. - Follow road through MAIN GATE onto FUNSTON ROAD. - Turn LEFT onto CARTER DRIVE from left turn only land. Please send your luncheon fee of $28.00 to the address shown below. 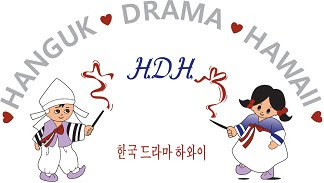 Your check should be made payable to HANGUK DRAMA HAWAII and postmarked no later than July 17th. This was one of the all time popular Korean songs in the 80's. This is Hero's recent version of the song. If you read the subtitles, it's a sad song.